This broccoli and cheddar soup is not a one time make. I have made this soup a couple times, and it has been delicious each time. It is cheesy, smooth, and creamy. The broccoli flavor is balanced with cheese, onions, and carrots. All the flavors work so well together, it’s quite a pleasant surprise. I have pureed the soup smooth with a blender and immersion blender before, and I prefer it as smooth as possible. However, this soup allows you to get whatever texture you like. So if you are a chunky soup fan, you can puree the soup a little or not at all. 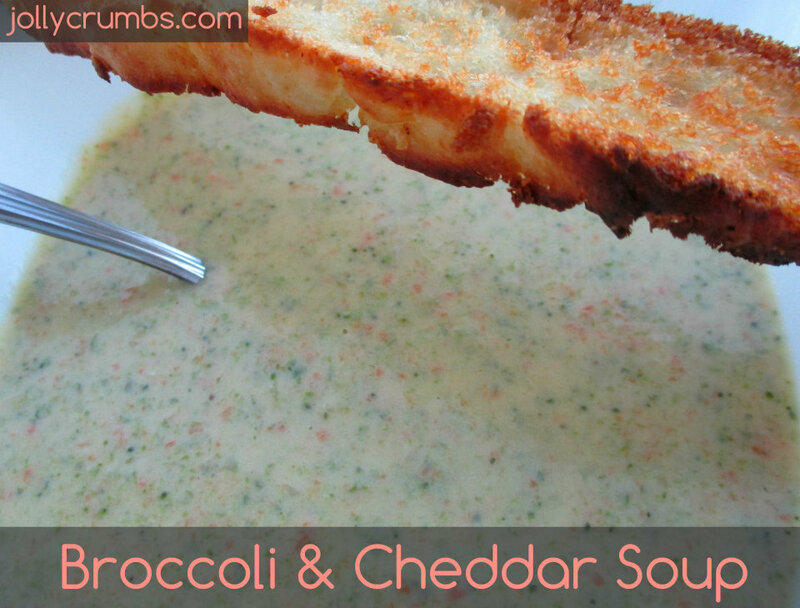 So, if you are a broccoli fan, you will love this soup. If you were like me and hated broccoli, I believe this soup will change your mind. It is not overly broccoli-flavored, so it’s great for those of us who are recovering broccoli haters. The first step is to sauté the chopped onion in 1 tablespoon of light margarine over medium heat. Sauté for about 10 minutes or until onion becomes soft and translucent. Set aside. In a large pot, melt the other 4 tablespoons of light margarine over medium-low heat. Whisk in the flour. 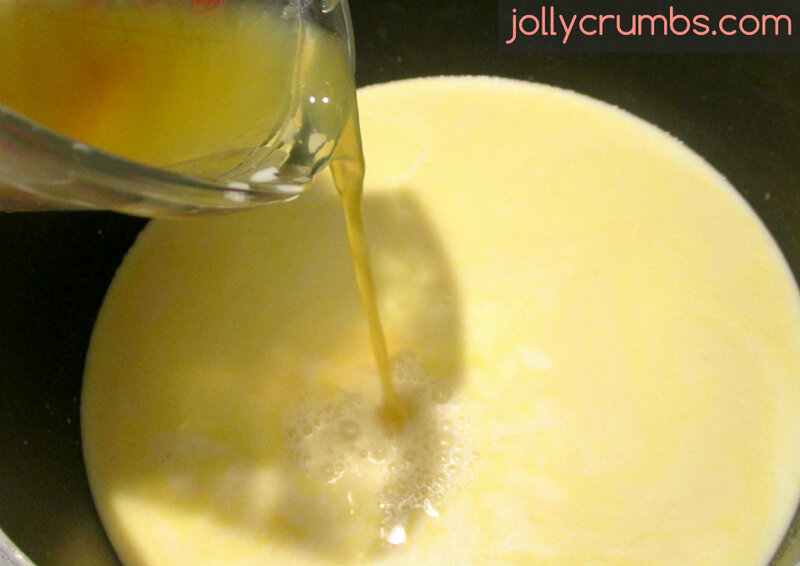 Continue stirring constantly for about 3 to 5 minutes, or until you have formed a golden-colored roux. You will basically cook the flour taste out of the roux and create a thick-golden paste. Add the milk, whisking well. Add the vegetable broth, whisking well again. Don’t worry about dissolving the roux right away. It will start to break down as the liquid heats up. Simmer for 20 minutes over medium heat. Stir occasionally as the mixture will bubble up some. Add the broccoli, carrots and onions. Cook over low heat 20 to 25 minutes or until vegetables are soft and tender. Add salt and pepper. Using an immersion blender or regular blender, blend the soup to your desired consistency. I prefer to blend this completely smooth, but blend yours to the desired consistency. If you use a regular blender, ladle the soup into it in batches. Make sure to vent the top of the blender to avoid steam explosions. Return to heat and add cheese in small amounts and stir until completely melted. Continue adding cheese until it is all melted in. Serve hot! I must tell you I love this soup. And I never thought I would say that about broccoli anything. Broccoli is becoming my cauliflower. I used to hate cauliflower but now I adore it. Broccoli may just be working its way up to that status as well. 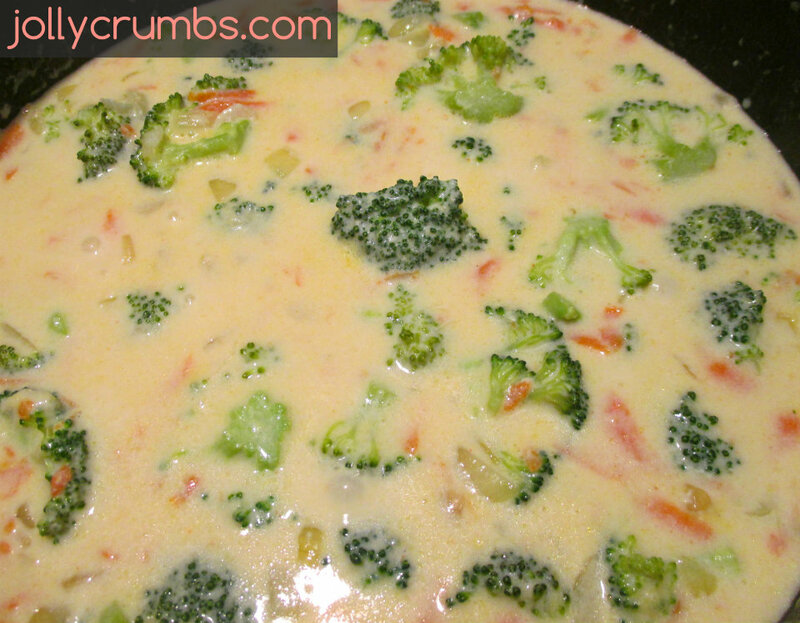 Seriously, if you love broccoli and cheddar you will love this. If you aren’t quite a fan, I definitely recommend this soup. It could change your mind on broccoli. Until this soup, I just hadn’t met the right broccoli and cheddar combo. Sauté chopped onion in 1 tablespoon of light margarine over medium heat. Sauté for about 10 minutes or until onion becomes soft and translucent. Set aside. In a large pot, melt the other 4 tablespoons of light margarine over medium-low heat. Whisk in the flour. Continue stirring constantly for about 3 to 5 minutes, or until you have formed a golden-colored roux. Add the milk, whisking well. Add the vegetable broth, whisking well again. Simmer for 20 minutes over medium heat. Stir occasionally as the mixture will bubble up some. Using an immersion blender or regular blender, blend the soup to your desired consistency. If you use a regular blender, ladle the soup into it in batches. Make sure to vent the top of the blender to avoid steam explosions. 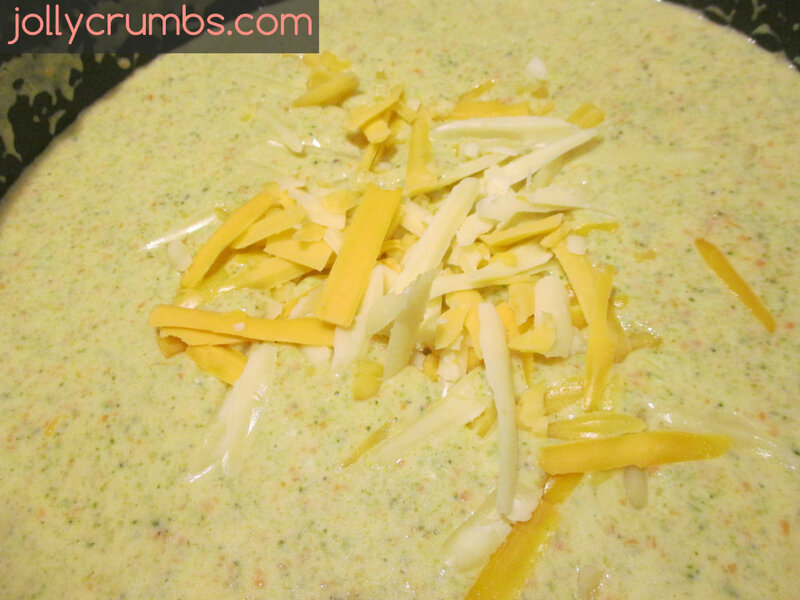 Return to heat and add cheese in small amounts and stir until completely melted. Continue adding cheese until it is all melted in. Serve hot! For the milk, you can use half and half or milk. I have used all milk and a combination of milk and half and half before. The original recipe calls for 2 cups half and half. I found that you don’t need all the fat from this because you add in cheese. So I opt to make this lower calorie by using all milk or nearly all milk with just a little half and half. Feel free to use all milk, all half and half, or any combination of the two up to 2 cups! You can use as much cheese or as little as you’d like in this recipe. The original called for 8 ounces, which I felt was way too much. I typically use between 4 and 5 ounces and it is plenty smooth, creamy, and cheesy! I have also used extra sharp cheddar, medium cheddar, and white cheddar, and these are all delicious! So feel free to use your favorite cheddar cheese. Sounds delicious! Looking forward to more “Broccoli” recipes!